Rechargeable and Cordless! Ideal for Garage & Workshop! Model No: LED180. LED Qty: 12 SMD 1 LED. 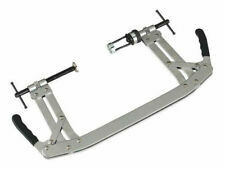 Inspection arm can be rotated 180° and folded back for use as a hands free inspection lamp. 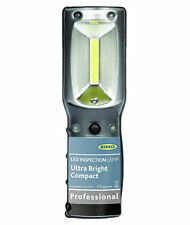 Slimline foldout inspection lamp for use in confined spaces, with 6mm minimum thickness. Supplied in limited edition 40th anniversary box. LED Quantity: 8 SMD 1 LED. Features a 360° swivel hook on the back of the light and a super strong rubber covered magnet on the base which allow for hands free operation. 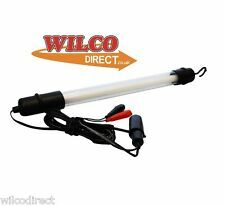 12v BLUESPOT Fluorescent Inspection Lamp. If you're into pedal power, not petrol power, have a look at our wide. 3M of cable. Hanging Hook 8 Watt Professional Light. Useful hands-free stand and hanging hook. LED Qty: 1 COB 1 LED. Integral hanging hook/belt clip and a magnetic base which can rotate through 180° for hands-free applications. Mini, lightweight lamp. Battery: 3.7V 1.2Ah Li-ion. Micro USB charging port. 2W COB LED MAIN LAMP. 1W COB LED TORCH. MINI MULTIFUNCTION RECHARGABLE WORK LIGHT / WITH TORCH, ORANGE. TORCH 8HRS. Latest COB light technology which is much brighter than traditional LED's. Perfect for automotive use with a swivel hing and magnetic base for hands free use. Top hook which allows you to hang the lamp. Model No: LED307. 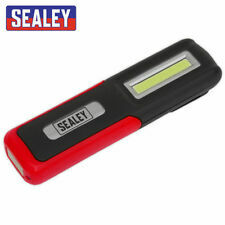 Sealey Magnetic Pocket Light 1W COB LED Single Light Not 6 As In Image. Quality Products From Sealey. Kamasa 55968 Camping Lantern 5 LED. LED Quantity: 24 SMD 7 LED. • 360° Hanging hook and a magnet on rear of lamp for hands-free applications. 72 ultrabright LEDs per light. Requires 4 x AA batteries per light (not included). Long life durable impact resistant construction. Height: 3.5cm. 72 ultra bright LEDs per light. Requires 4 x AA batteries per light (not included). You will need to know theItem Number (12 digit) for all correspondence. Length: 22cm. This is Used as car oil seal O-ring seal screwdriver, split pins, bushes. Including straight pick, full hook, small angle hook, 90 degree hook. Pick Type: Straight Pick, Full Hook, Small Angle Hook, 90 Degree Hook. This is a 6lb Magnetic Pick Up Tool with a LED light. 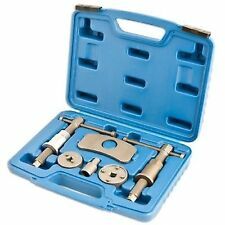 Draper 56627 DPK/SET 5 Piece Drain Plug Key Set. Keys Can Be Used For Different Oil Sump, Gearbox And Axle Bleeding Depending On The Make Of Vehicle (See Below For Details). Part Of The Car Maintenance Range From Draper. Part Number: RIL3600HP. •Integrated hanging hook. Product Group: RING GARAGE LIGHTING. •Resilient polycarbonate and ABS construction. •Wide angle of light output that has uniform intensity. Blue Point 12v inspection lamp in good working condition. No used for many years so simply has to go. INSPECTION LAMP. Our primary aim is to provide a wide range of car parts and accessories at competitive prices, coupled with excellent service. Our sales team have a wealth of experience gained from working in the motor trade for over 30 years, and will be more than happy to assist you with all your motoring needs. Information 1: 8W 12V DC Fluorescent Inspection Lamp. Information 2: For use in places where mains power is unavailable. Supplied with 3M (approx.). of cable and connector for vehicle cigarette lighter socket. Polished reflector. work place, and loft, among many other places. Illuminated on/off switch. Hanging hook. SNAP ON RATCHET HANDLE LED LIGHT NEW BUT NO BOX. The Ring Under Bonnet Lamp is lightweight, adjustable and suitable to mount on any vehicle. With three levels of light output, a 40° adjustable head and 60° wide angle illumination, those relying on the tool can be confident that they will have the greatest levels of visibility. This is chunky LED lamp that can be used as a hand held torch or as a fantastically bright working lamp. With a total of 37 LED bulbs, this torch can light up the darkest of places using very little energy. RING RIL2500HP ULTRA BRIGHT Compact COB LED INSPECTION LAMP/LIGHT. Its compact design allows for easy storage and transportation and its magnet and belt clip enable hands free use. - COB LED provides a light output 3 x brighter than the equivalent standard LED lamp. 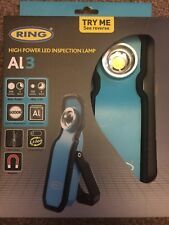 5 out of 5 stars - RING RIL2500HP ULTRA BRIGHT Compact COB LED INSPECTION LAMP/LIGHT. 4 product ratings4 product ratings - RING RIL2500HP ULTRA BRIGHT Compact COB LED INSPECTION LAMP/LIGHT. Easy to switch on/off: PUSH 1-Top LED on; PUSH 2-Side COB LED on; PUSH 3-OFF. Magnetic clip for hand-free use. 120 degree rotation clip provides multi-angle lighting. Built-in 3.7v 800mAh 14500 Li-ion batteries and Micro USB charging cable is included. LED Qty: 12 SMD 1 LED. • Inspection arm can be rotated 180° and folded back for use as a hands free inspection lamp. 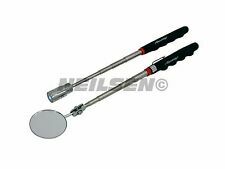 Features: • Slimline foldout inspection lamp for use in confined spaces, with 6mm minimum thickness. 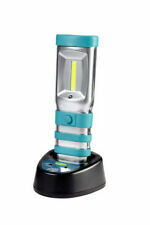 360⁰ Swivel and tilt function allows light source to be positioned in any direction. Features battery level indicator. Features a single hook, and magnet base allowing hands free operation. SUPER BRIGHT 3W. FEATURES LED LAMP ON THE TOP AND A SMALLER 1W LED AT THE FRONT. DUEL LED INSPECTION LAMP. MADE TO BRITISH SAFETY STANDARDS. HOOK FOR EASY HANGING. 360°ROTATION： The lighthead can rotate 360° horizontally, can provide multi-angle illumination. Model No: LED3601G. Featuring a super bright 2W COB LED light source which gives an even and constant spread of light. LED Quantity: 1 COB 1 LED. Battery: 3.7V 1.5Ah Li-Poly. Supplied with high quality braided USB cable. 2W COB LED MAIN LAMP. 1W COB LED TORCH. MINI MULTIFUNCTION RECHARGABLE WORK LIGHT / WITH TORCH, GREEN. TORCH 8HRS. 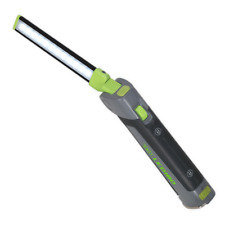 Other features include an LED torch function and an anti-slip comfortable grip for when using your hands. - New technology strip LED provides a light output 4 x brighter than the equivalent standard LED lamp. COB (Chip On Board) inspection lamp fitted with a one watt LED and 3 ultraviolet LEDs on the end plate transforming the lamp into torch. The UV LEDs enable detection of leaks on cooling systems and air-con systems. Features 1kg capacity magnetic pick-up and handy washer jet tool. Featuring a super bright 2W COB LED light source which gives an even and constant spread of light. Rubber covered magnet in base and swivel hook for hands-free operation. COB LED STRIP. 3 Watts COB LED for bright illumination. Heavy duty magnet for easy mounting. Wide light beam over 90 degrees. INSPECTION LAMP. HIGH POWER. Top Quality Product. Retractable 360 degree suspension hook. Sealey LED0121R Interchangeabl. NOTE :without the i nspection lamp. When I ordered the t orch the i nspection lamp was missing. NOTE :I Have Put New/Other As i nspection lamp Is Missing and. (I LIVE IN THETFORD NORFOLK ). High/Low Brightness levels with Top Torch. Latest in COB LED Lighting Technology. 120° 5 Position Pivoting Head. Clean Natural White Light. 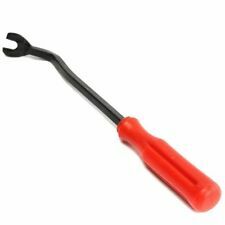 • One of a comprehensive range of Premier Hand Tools, suitable for daily professional use. 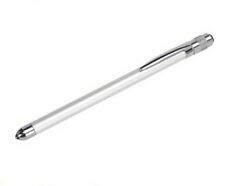 • High quality metal bodied seven section telescopic LED inspection/pick-up tool with pocket clip. • Features removable Ø40mm mirror mounted on twin ball joints for maximum articulation, ideal for inspections in low light areas. • Features 1kg capacity magnetic pick-up and handy washer jet tool. 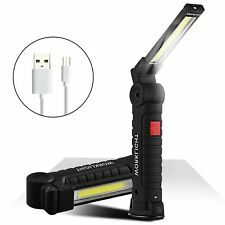 This rechargeable LED Inspection lamp Work Light Hand Torch is a necessary helper when you work at night or have to check details in the darkness. With its 5W COB light in the body, it can provide you super brightness. And extra 1W LED light locating on the top end makes it a hand torch use for you meanwhile. You can attach it to anywhere as you like by magnetic. Rechargeable lithium battery: Using 110-240V,AC 50-60 HZ,3.7V(2000mAh) Light color COB bright white Color Red Charging time ca. 7~8 hours Operating time ca. 5.5~6 hours Power requirements 5V DC Size 21.6*5.6*4.7 cm Brand Unbranded/Generic MPN HD797822240287 Manufacturer Part Number Does not apply EAN 0713239799477. A new snap on pocket light with uv ,in red with battery’s. Expert Quality, COB (Chip On Board) inspection lamp fitted with a one watt super bright LED and 3 Ultra Violet LEDs on the end plate transforming the lamp into torch. 4-watt COB LED Inspection: 3 hours. Model No: LED307. LED Qty: SMD (24) LED (7). • 360° Hanging hook and a magnet on rear of lamp for hands-free applications. • Single LED battery indicator. 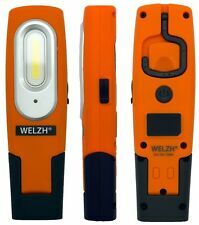 • 7 LED in the end for use as a directional torch. At just 6mm deep, it gets light where you need it. Includes two magnets and hanging hook for hands-free use. - Slim design - just 6mm thick - to illuminate the smallest of spaces. - 6000K colour temperature. LIGHTED INSPECTION TOOL SET. This set includes a super bright LED retriever that extends over 27 1/2", as well as having a cushion grip handle. There are 3 AG13 button cell batteries included. 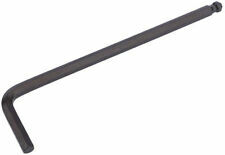 The inspection mirror is 2" round, and this extends from 6 1/2" to 19". 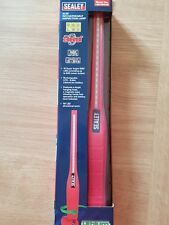 NEW Sealey 60w Inspection Lead Lamp/Light 240v ML100G. MPN ml100g, Shed. Model: ML100G. Manufacturer Part Number ML100G. Sealey 60w Inspection Lead Lamp/Light 240v. 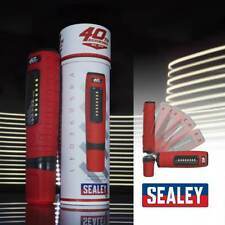 Sealey MS006 Motorcycle/Motobrike Piston Ring Clamp Compressor Tool Kit 40-85mm hope1167(1729). Model: FSE312. Manufacturer Part Number FSE312. Manufacturer FUSHION Toolpak Power. Type Inspection Lamp Torch. Fusion Power Fluoresent 11watt 240v Inspection Lamp. Extension Leads 110v & 240v. Backing Pads & Polishing.